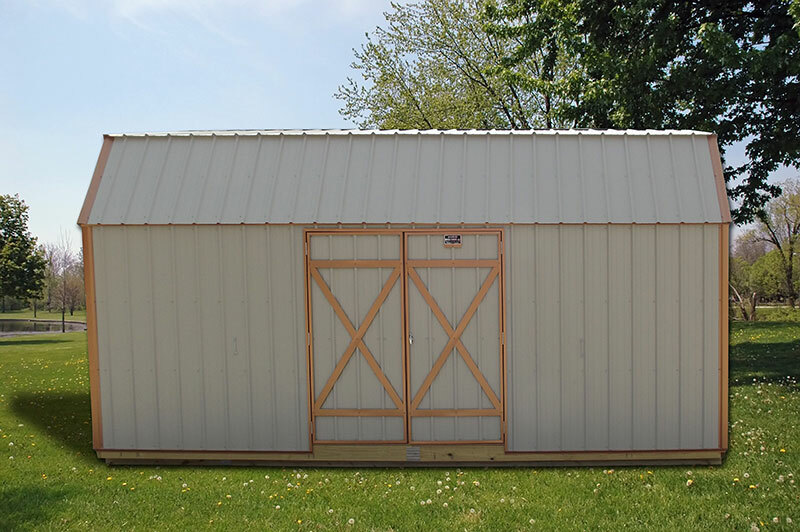 The Vertical Roof Hi Barn gives you many of the same features as the Lofted Hi Barn. 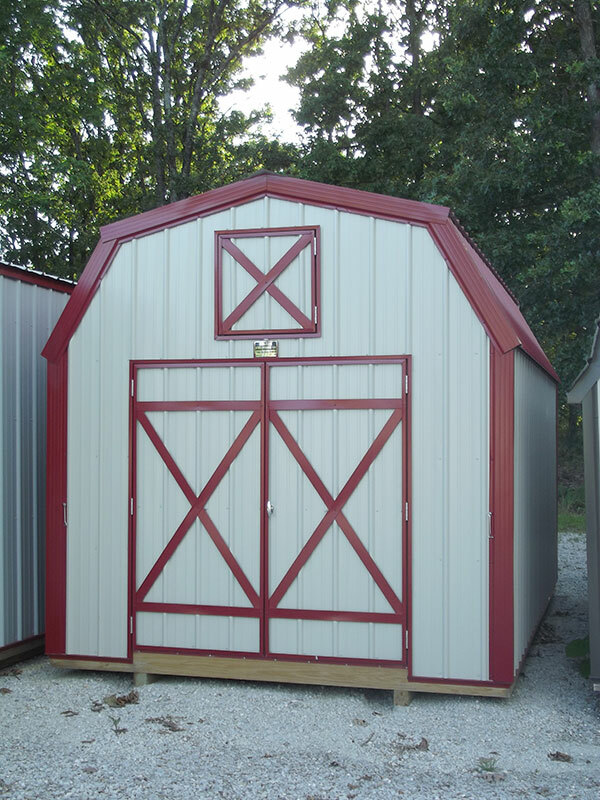 The metal is installed vertically on the roof, the sidewalls are taller, and the choice to have sidedoors are some additional features of the Vertical Roof Hi Barn with Loft. Lofts can be split up in either 1 long loft or divided with a 4 ft. section left out. No Extra Charge. Please specify when ordering barn for loft spacing. Studs are spaced 24 in. on center and side nailers are notched into the studs for a more professional look and to give you more floor space. Trusses are plated together with steel plates for more strength and a professional look. Metal panels are screwed on with color matched screws. Metal is installed vertically on the roof. Standard double door in a 6 ft. wide x 6 ft. 4 in. tall opening. A keyed door handle is also standard. All Vertical Roof Hi Barns have the standard Dutch Look Trim. A small, opening loft door in front end above the regular door is included. 12 in. square gable vent (painted to trim color) in rear gable end in loft area. 6 ft. wide x 4 ft. deep ramp for easier access into the building with lawn equipment. 2 ft. x 3 ft. Windows. Shelves or a Work Bench on the side or on the back wall. A standard 36 inch house type door may be substituted for the shed doors.